Sundaying in LDN theatre district. Sundaying in LDN theatre district. Reliably fine cocktails at Joe Allen’s restaurant, they serve up the classics with finesse. 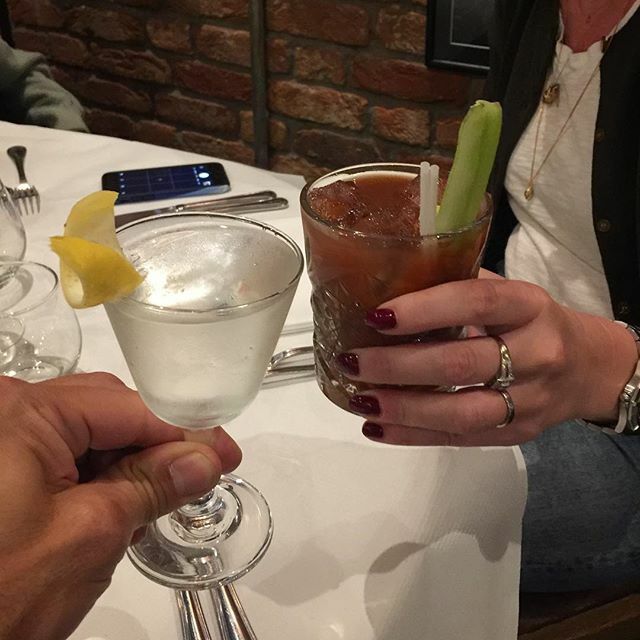 That’s a fine wet Gin Martini and a classic Bloody Mary. Starts a Sunday late lunch off great!